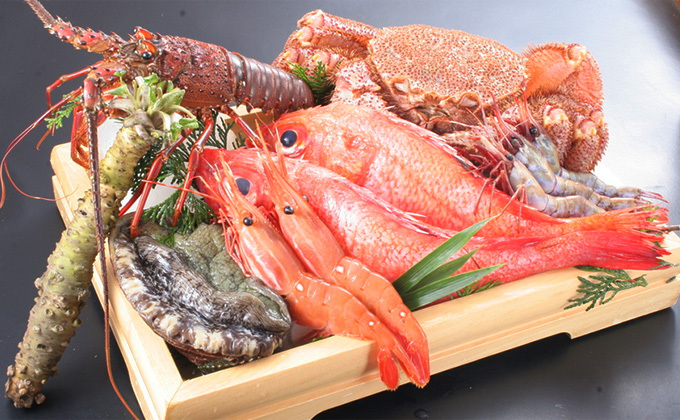 We contemplatively select fresh seafood directly sourced from markets. Our connoisseur sushi chef selects and purchases fresh seafood from markets. We provide a variety of the best seasonal fish of the day. 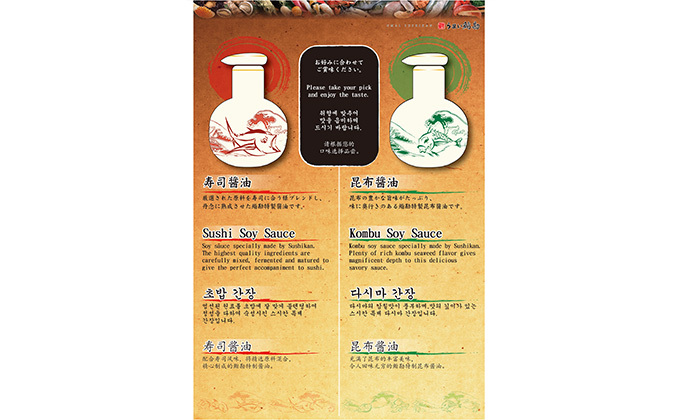 We provide two kinds of soy sauce. Please enjoy either or both of them as you please. Sushi soy sauce: this is Sushikan's special soy sauce which was made by blending selected ingredients to suit our sushi and then allowing it to mature. Kombu [kelp] soy sauce: this is Sushikan's special kombu soy sauce which has deep flavours with plenty of the savouriness of kombu kelp. *When eating sushi, please dip the fish side, not the rice side. Reasonable sushi in an up-market Akasaka area! 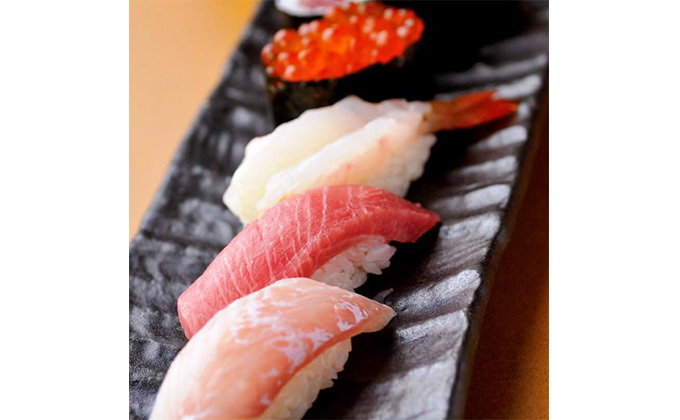 We offer pieces of sushi starting from 80JPY. Enjoy reasonably-priced sushi in Akasaka. We are open until 3 am on weekdays. Umai Sushikan is the best place for those who haven't drunk enough or wish to eat sushi late at night.